Man’s best friend or woman’s best accessory? … and I don’t care – sorry! This time not insideKENT magazine but this week’s edition of the Sevenoaks Chronicle newspaper, you can check out their awesome website HERE or for a taster of the 3rd of July edition click HERE. Unfortunately my pieces aren’t online so you’re just going to have to go out and buy this one – I’m talking to you my avid following from friends and family in Kent! 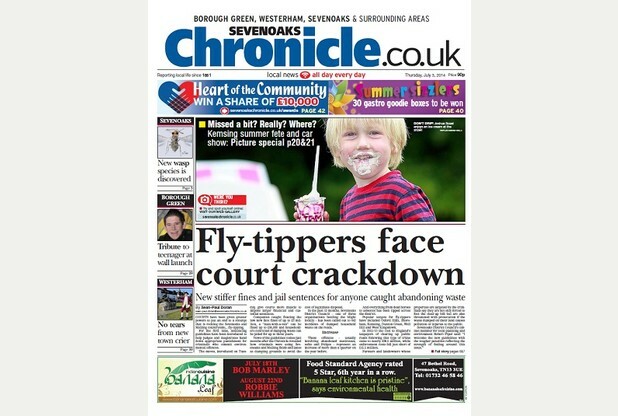 But for 90p you get a jam packed paper and all the delights in Sevenoaks and the surrounding area this week. Finally as usual, if you want to get in touch or have any ideas you want us to try out here at The Sarah’s Style Blog then don’t hesitate to get in touch. Either comment below, Tweet us@thesarahsblog or post on our Facebook Page.